Orlando is a marvellous city which is home to many enthralling amusement parks as well as warm and welcoming people. Today, we stand on this platform to write as witnesses who were thoroughly dazzled by this marvellous city. We kicked off our journey with the fantastic world of Disney. The Disney Magic Kingdom never fails to surprise visitors of all age groups from around the world. The magical parade and the sparkling fireworks left the visitors spellbounded. The next day we spent in Orlando was just awesome. We visited the Universal Studios Theme Park. The park was enormous with various attractions. The visitors were soaked in adrenaline on the Hulk roller coaster and water at the Ripsaw Falls. The Wizarding World of Harry Potter left our mouths open and we later filled it with some really tasty butterbeer. We were also dazzled by the beautiful features of the Hogwarts Castle. After exploring the theme park we decided to end our day with some delicious kebabs. 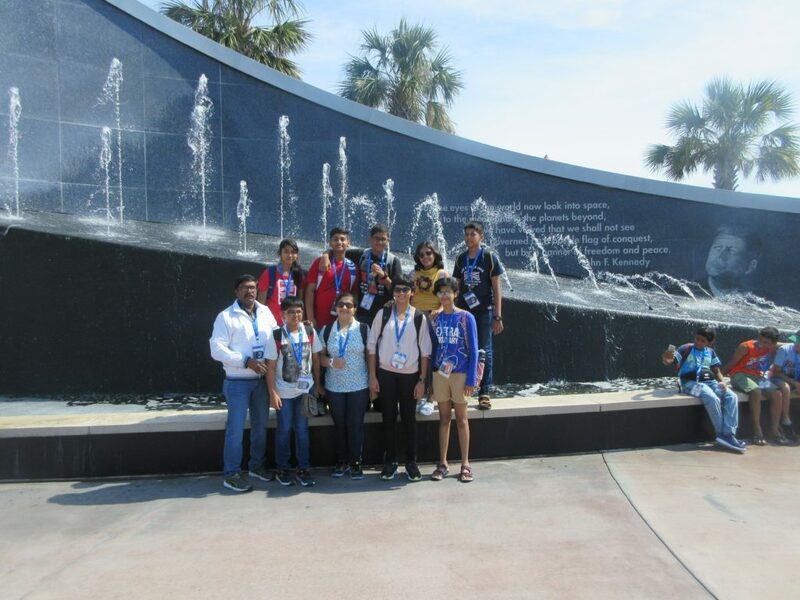 The next day was enlightening, as we visited the Kennedy Space Center. Very few people know that NASA was funded and operated as part of the cold war propaganda against Russia (then USSR), but what turned out, in the end, is really beautiful. We were fortunate enough to watch the launch of the Falcon 9 rocket. We were left awestruck when the engines fired brilliant vermillion flames and shot off with glimmering sparks into the endless ocean of blue with its head in the clouds. On the second day of the Kennedy Space Center, we had lunch with Brian Duffy, an amazing Astronaut who shared his experiences with our curious minds. On this note, we would like to end our blog. We would love to visit this fabulous city again and store this treasure trove of memories in our hearts forever. 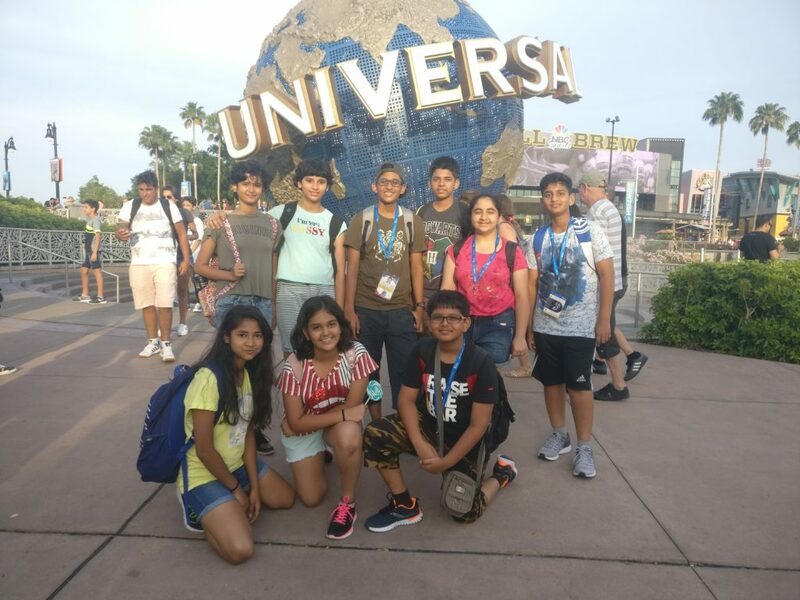 Team Members: Ajinkya Pawar, Dharmee Gajara, Divij Butte, Nidhi Parkar, Semantika Singh, Shamit Jathar, Shweta Pendyala, Sristi Thakka and Yash Ashtekar (Pawar Public School, Bhandup). 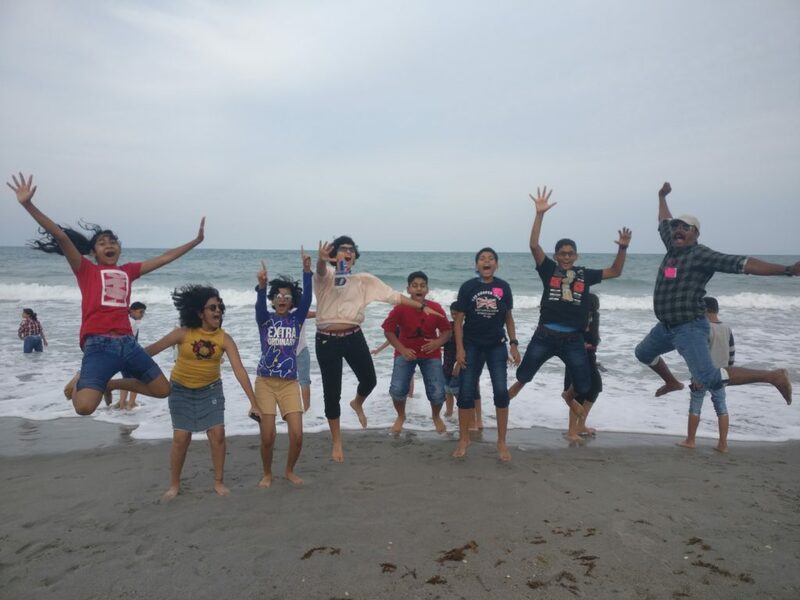 EdTerra Edventures conducts various international and domestic programs for the youth. 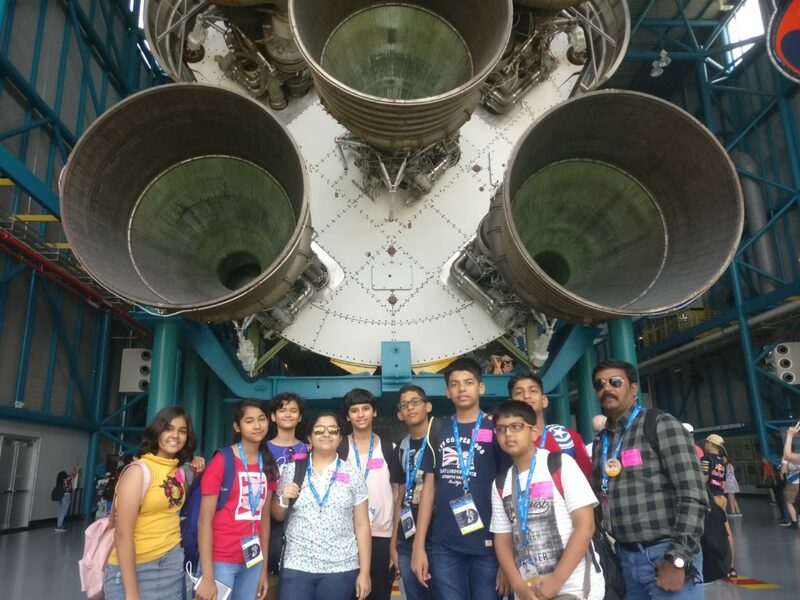 If you go to school and are under 17 years of age, ask your school to contact us to arrange a visit to your school for an introduction to the “USA East Coast Space Adventure” and other journeys under EdTerra’s Going Global Program.